The rich artistic patrimony of Bologna is a powerful testament to the city’s great cultural importance over the centuries. Due to its favorable location, as well as to the presence of its ancient and distinguished university, Bologna has always been recognized for its great geo-political importance as a place from which many new ideas were diffused throughout the Apennine peninsula and beyond. 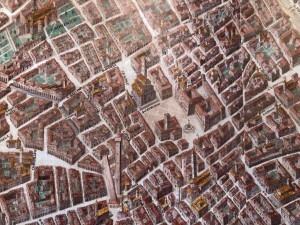 Often threatened from the outside and occasionally conquered, the city distinguished itself by its desire to remain autonomous and by the development of a unique artistic school indebted to the various north Italian models. 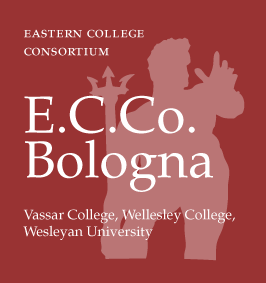 This course seeks to recreate and analyze the Bolognese context between the fourteenth and early seventeenth century through the lens of select artistic masterpieces that best reflect the cultural vibrancy of that era. Lectures take place in the classroom, as well as in front of the actual works of art in Bolognese churches, palaces, and museums. Particular attention is paid to questions concerning the role of the artist, materials, iconography, style, and patronage. This entry was posted in E.C.Co. courses, Fall. Bookmark the permalink.